Pity the poor cable TV giants. Every day, it seems, brings new challenges in keeping subscribers, not to mention signing up new ones. The problem is an increasing number of consumers are finding they can get by just fine without spending $100 or more a month on television. First, it was an upstart streaming service called Netflix that gave viewers more options for $9 a month. It was soon joined by other competitors, like Hulu, Amazon Prime, and Sling TV, each with unique offers. Now, there may be one more. A report by Bloomberg News, quoting people in the know, says Verizon has been busy nailing down TV rights in preparation for the launch of its own video streaming services, perhaps as early as this summer. Bloomberg reports Verizon plans to start packaging dozens of channels that will provide live, over-the-internet TV programs, setting it apart from its current go90, with is an on-demand streaming service. 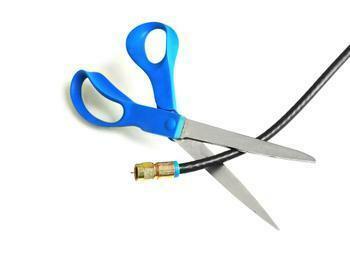 It will also be different from the television program it offers over FiOS. The service will likely compete head to head with Sling TV and AT&T's streaming service, DirecTV Now. Bloomberg also reports Comcast, one of the nation's largest cable operators, is trying to secure rights to carry cable networks on an online service, outside its cable footprint. If that plays out, it would be a sign within the industry of which way the wind is blowing.